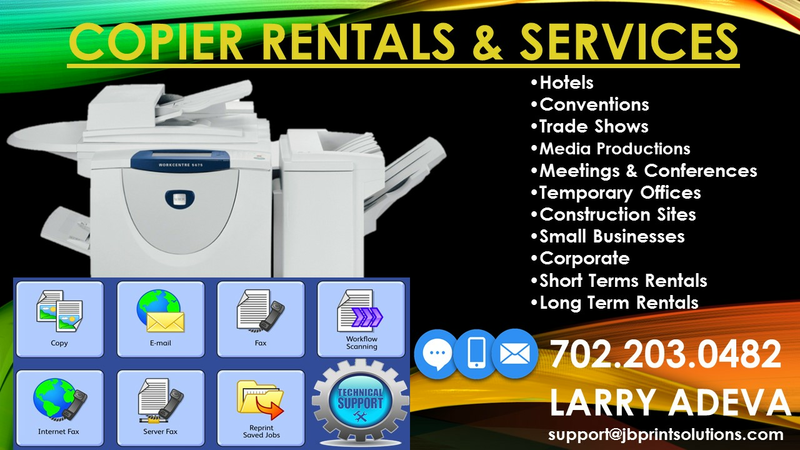 Need to RENT COPIERS , FAX , PRINTERS, SCANS, MFP's? 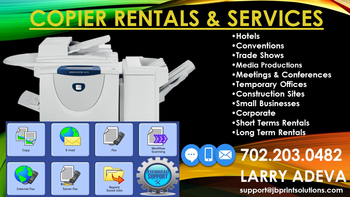 We Offer a Large Selections of TOP OF THE LINE BUSINESS. Depending on your Specific Needs for a - Day - Week - Month to Month Basis " 7 DAYS a WEEK, 24 HOURS a DAY "